For the 2+2 dialogue, US Secretary of State Mike Pompeo and Defence Secretary Jim Mattis arrived in Delhi yesterday. 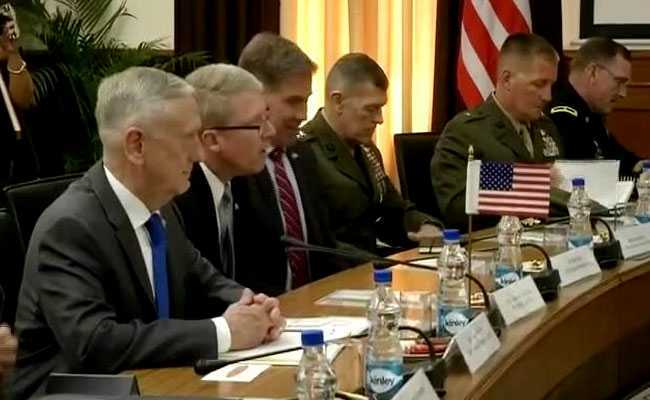 India-US 2+2 Dialogue: James Mattis, Mike Pompeo meet PM Modi. Foreign minister Sushma Swaraj and Defence Minister Nirmala Sitharaman held the first high-level 2+2 talks with their US counterparts Mike Pompeo and Jim Mattis, with boosting cooperation in the Indo-Pacific region and finalizing a pact on encrypted defence technologies high on the agenda. All four of them also met PM Modi. US Secretary of State Mike Pompeo and Defence Secretary Jim Mattis arrived in Delhi yesterday for the talk. 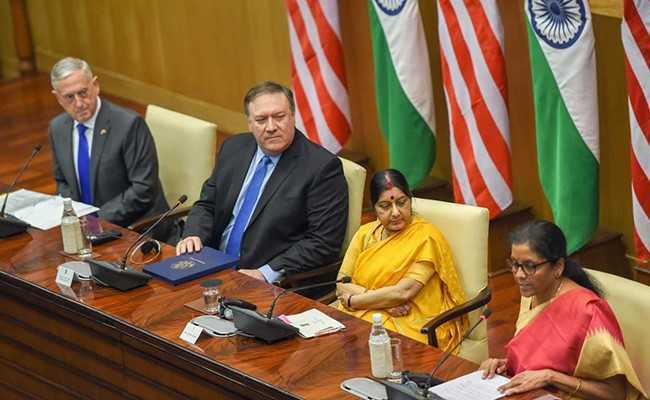 Sushma Swaraj received Mr Pompeo, while Ms Sitharaman welcomed Jim Mattis at the Palam airport, reflecting the importance of the talks, which are being held at the Jawaharlal Nehru Bhawan in the national capital. Chairman of the US Joint Chiefs of Staff General Joseph Dunford is also part of the US delegation. 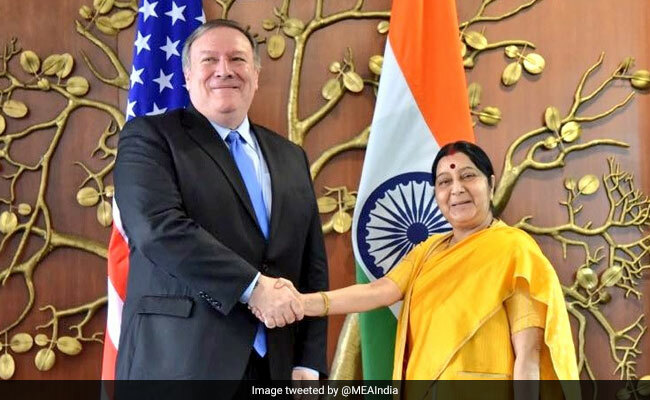 The External Affairs Minister will have a separate bilateral meeting with Mr Pompeo while Ms Sitharaman will have a one-on-one meeting with Mr Mattis on Thursday morning before the delegation-level two-plus-two talks. 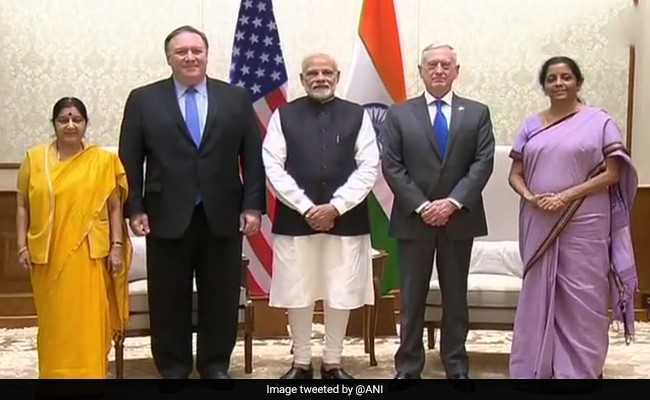 In the afternoon, Sushma Swaraj, Nirmala Sitharaman, Mike Pompeo and James Mattis will call on Prime Minister Narendra Modi. India and the US also pledged to expand their bilateral trade and economic partnership with a view to promoting investment and job creation. India and the US have also agreed to work together to secure Nuclear Suppliers Group's membership for India at the earliest. Calling for a free and open Indo-Pacific, United States Secretary of State Mike Pompeo said that both India and the US should continue to ensure the freedom of the seas and the skies. 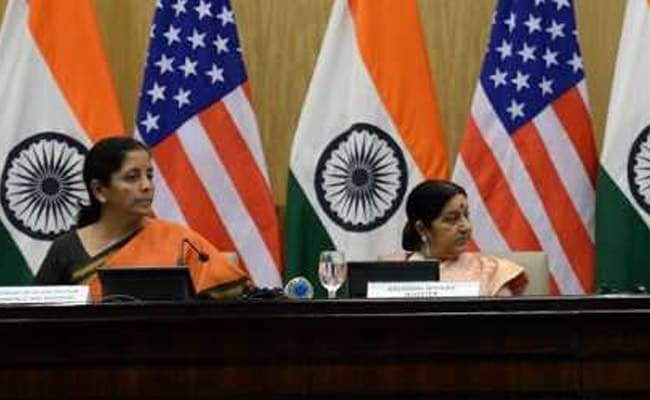 Speaking to media after the 2+2 Dialogue between India and the US, Mr Pompeo stressed on the need for upholding peaceful resolution of territorial maritime disputes, promoting market-based economics, supporting good governance, fundamental rights, and liberties, and preventing external economic coercion. "India's leadership in the world supports our shared democratic values regionally and globally. We also recognise the increasing connectivity between the Indian and Pacific Oceans, renaming US Pacific Command to the US Indo-Pacific Command. With India as a major defence partner, we are elevating our defence relationship to be on a par with our closest allies as we deepen the broader US-India relationship, enhancing our interoperability, our defence trade, our technology innovation and industrial collaboration, and bolstering our people-to-people bonds," Jim Mattis said while speaking to the media after the India-US 2+2 Dialogue on Thursday. Mike Pompeo and James Mattis Thursday briefed Prime Minister Narendra Modi on the first 2+2 dialogue held between the two countries. "The prime minister fondly recalled his interactions with President Trump and requested the secretaries to convey his greetings to him," a brief statement from the Prime Minister's Office said. India seeks US partnership to boost various sectors and grow the bilateral trade to $500-600 billion from the current $125 billon with a good strategy under a stipulated time, commerce and industry minister Suresh Prabhu said. We also identified cooperation in defence innovation as a major area of emphasis for the future. The Memorandum of Intent between our defence innovation agencies is a first step in this direction. 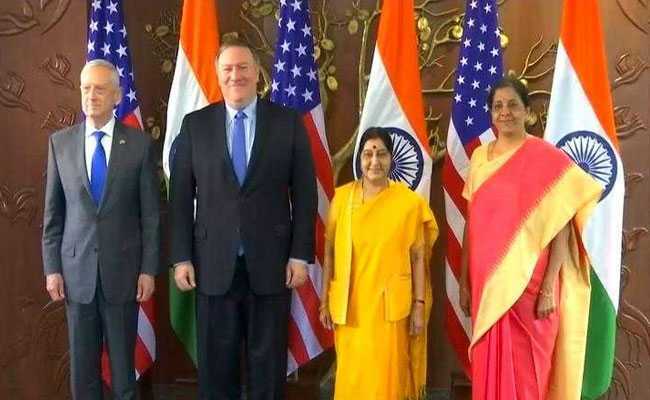 James Mattis, Mike Pompeo, Sushma Swaraj and Nirmala Sitharaman meet Prime Minister Narendra Modi. India-US also discussed the contentious H-1B visa. 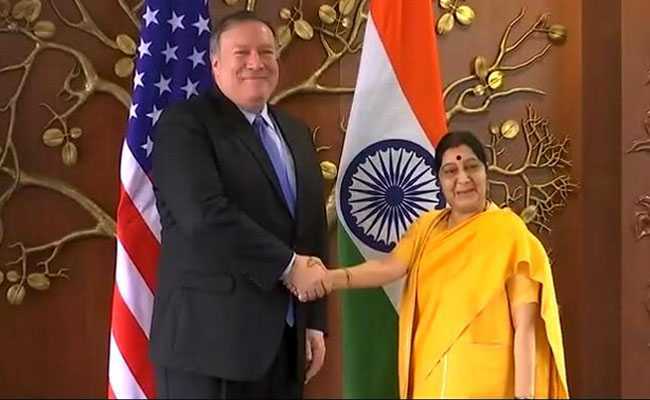 Talking about her bilateral meeting with Mike Pompeo before the 2+2 dialogue, External Affairs Minister Sushma Swaraj said they reviewed the direction of the Indo-US relations in recent months and exchanged views on a number of regional issues of shared concern. US and Indian militaries will carry out large-scale joint exercises off India next year, top officials said Thursday. 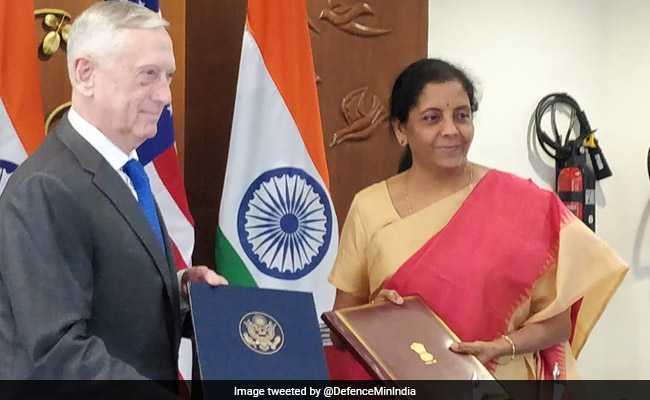 Defence Minister Nirmala Sitharaman made the announcement at the end of a summit with US Defense Secretary Jim Mattis, Secretary of State Mike Pompeo and Foreign Minister Sushma Swaraj. 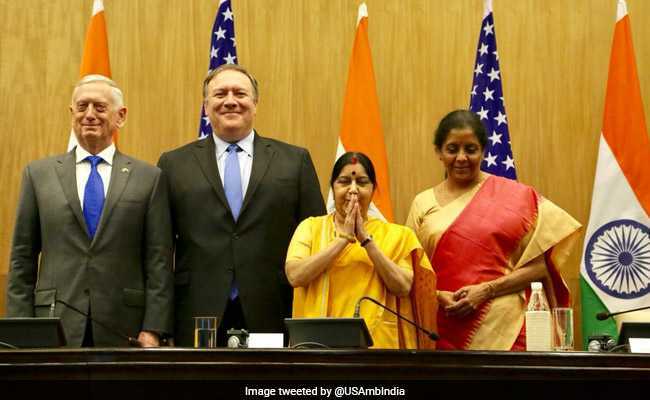 In what is being seen as a crucial military and political engagement, India and the United States have signed a path-breaking agreement COMCASA or Communications Compatibility and Security Agreement on Thursday. The agreement will allow India to get advanced encrypted military technology and hardware from the United States. India and US sign the COMCASA (Communications Compatibility and Security Agreement) after the inaugural 2+2 Dialogue. We have discussed terror emanating from Pakistan and have agreed that Pakistan needs to do a lot more to curb terror originating from it, Ms Swaraj said. This meet was a focus on regional stability in South Asia, South-East Asia and Indo-Pacific, Sushma Swaraj said adding that India being a part of groups like the ASEAN also help greatly in this endeavor. Exteral Affairs Ministery spokesperson said that the two sides took stock of impressive strides in the bilateral relationship between the two countries and discussed steps to take the relationship to an even higher trajectory. The 2+2 dialogue is being held today after twice being postponed. Mike Pompeo had said that he regretted that it had to be postponed twice. "I regret it was my fault the second time. I had to travel to Pyongyang. But secretary Mattis and I are both looking forward to this," he had said. 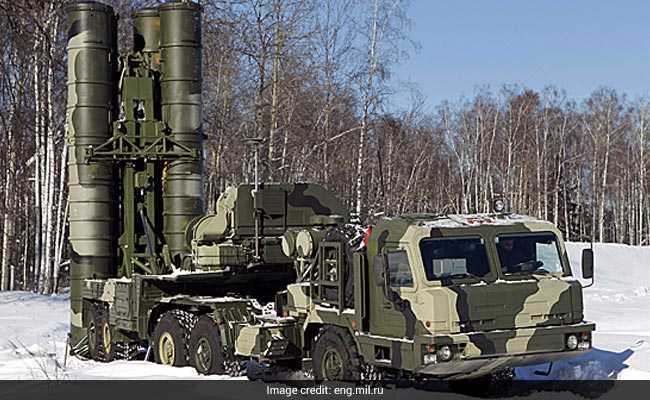 The S-400 air defence system that India wants to purchase from Russia will be a point of contention in the 2+2 talks. "They are (missile system purchase from Russia and oil from Iran) part of the conversation. They are part of the relationship. They will certainly come up, but I don't think they will be the primary focus of what it is we are trying to accomplish here," Mr Pompeo said on Tuesday to a question from reporters who are travelling with him to Pakistan and then to India. 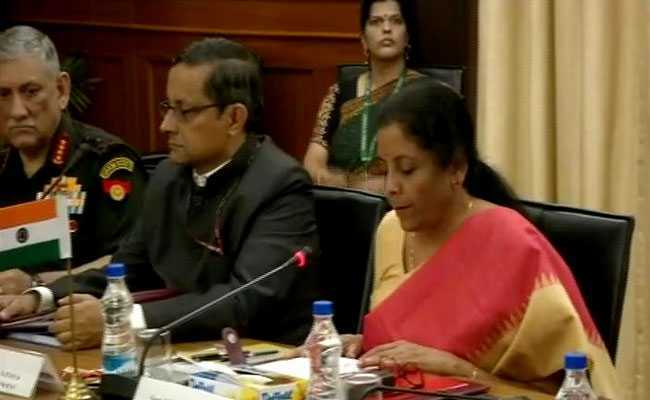 Talks have begun between Defence Minister Nirmala Sitharaman and US Defence Secretary Jim Mattis. Jim Mattis had earlier asserted that India and the US will have a very transparent dialogue. "We will discuss anything that they bring up, and certainly, there'll be issues we bring up," he had said. US Defence Secretary Jim Mattis said ahead of the 2+2 dialogue that he anticipates that India will bring up the purchase of the S-400 air defence system from Russia. Click here to find out more.